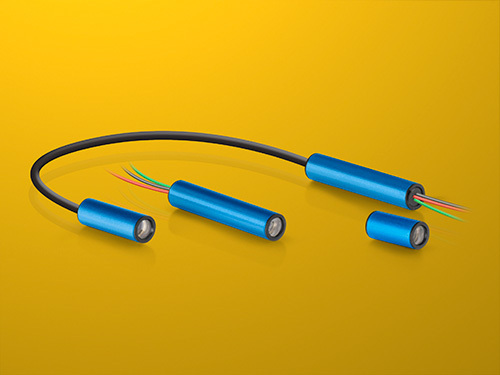 Shorter than a match – the smallest line laser for industrial image processing. LASER COMPONENTS’ MVfemto series modules are the smallest line lasers available for industrial image processing. However, they are characterized by extraordinarily high optical power. With a length of 40 mm and a diameter of 8 mm, these modules fit into 3D laser sensors that do not really offer much space. The focus of MVfemto modules is set during factory production. In addition to the standard version, modules are also available with separate optical and electronic elements, as well as a version without driver electronics. Changes can be made at any time upon request. Contact us!